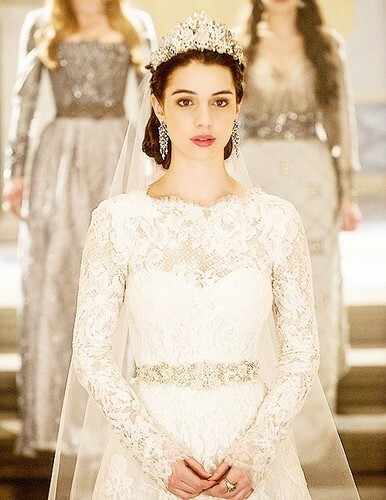 Mary's Wedding. . Wallpaper and background images in the Reign [TV Show] club tagged: photo mary reign mary queen of scots wedding. This Reign [TV Show] photo contains 伴娘, 荣誉女仆, and 伴娘伴娘. There might also be 袍 and 礼服.